"Apes. Together. Strong." 20th Century Fox has launched the second official trailer for the new War for the Planet of the Apes movie, directed again by Matt Reeves, continuing (and perhaps ending) the new trilogy of Apes movies. 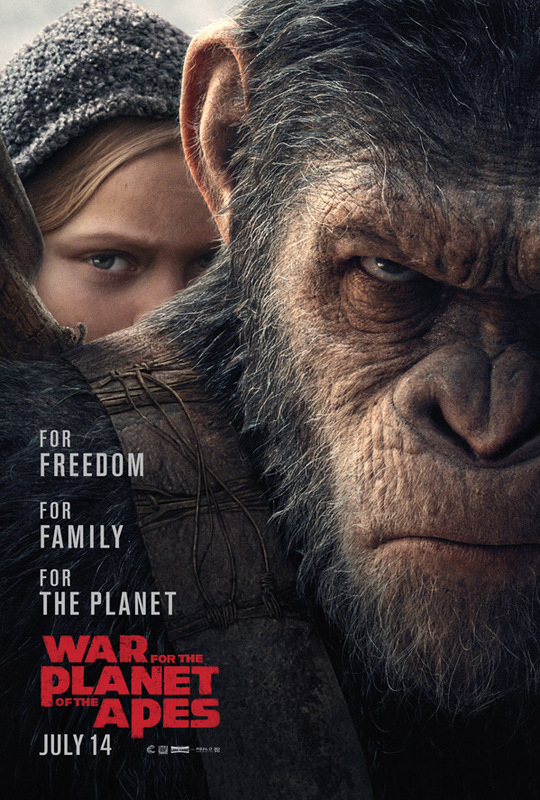 After the tensions kept building in the first two movies, this time it's an all out war between humans and apes. Andy Serkis returns to play Caesar, and the cast includes Woody Harrelson as his adversary, the Colonel. Also starring Judy Greer as Cornelia, Max Lloyd-Jones as Blue Eyes, plus Steve Zahn, Chad Rook, Ty Olsson, Aleks Paunovic and Sara Canning. The first trailer for this was amazing, one of my favorite trailers from last year, but this one is even better, and I am pretty much losing my mind with excitement over this. The footage looks awesome - all the action, and Caesar seriously pissed. You can still watch the first trailer for War for the Planet of the Apes here, to see more footage from this. 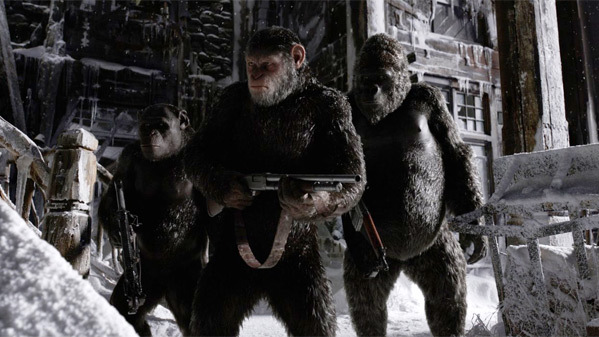 In the third chapter of the critically acclaimed blockbuster franchise, Caesar and his apes are forced into a deadly conflict with an army of humans led by a ruthless Colonel. After the apes suffer unimaginable losses, Caesar wrestles with his darker instincts and begins his own mythic quest to avenge his kind. As the journey finally brings them face to face, Caesar and the Colonel are pitted against each other in an epic battle that will determine the fate of both their species and the future of the planet. War for the Planet of the Apes is again directed by Matt Reeves, of the previous Dawn of the Planet of the Apes, as well as Let Me In and Cloverfield. The script is written by Mark Bomback and Matt Reeves; based on Pierre Boulle's novel. Fox will begin the War for the Planet of the Apes starting on July 14th this summer. Who's excited?